What is an alcohol use problem? How is alcohol dependency treated? An alcohol use problem means having unhealthy or dangerous drinking habits, such as drinking every day or drinking too much at a time. Alcohol use problems can harm you and may cause you to harm others. You may think a drink or two is okay, even if it is illegal. But young people who drink are more likely to develop an alcohol problem than people who start drinking later in life. 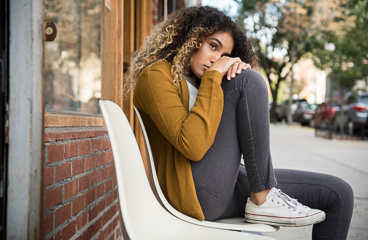 Teens who continue to misuse alcohol may develop a strong need, or craving, for alcohol, and it may get harder to say "no" to drinking. You may begin to find alcohol more fun than anything else. Or you may want to stop drinking but can't. You may become dependent on alcohol. If you become dependent, then alcohol controls your life. You may continue to drink even though it can harm your relationships, lead to trouble with the law, and/or cause physical problems. Make car crashes more likely. If you drink and drive, you can easily have a crash and hurt yourself or others. Do not drive if you have been drinking, and do not ride in a car (or any type of vehicle) with someone who has been drinking. Say why you don't want to drink. Here are some examples: "I don't like how I act when I'm drinking," "I like to know what I'm doing," "If my parents find out, they'll take my car away," or "I have to practise with my band tomorrow." Treatment depends on how bad your alcohol problem is. Some teens are able to stop drinking with help from a school alcohol education program or a counsellor. Treatment also can include group therapy. Teens who are dependent on alcohol may need medical treatment and may need to stay in a hospital or treatment centre. Treatment focuses on more than alcohol. It also helps you cope with the anger, frustration, sadness, and disappointment that often happen when a person tries to stop drinking. Treatment also looks at other parts of your life, like your relationships with friends and family, school and work, medical problems, and living situation. It helps you find and manage problems. Treatment helps you take control of your life so you don't have to depend on alcohol. Enter N463 in the search box to learn more about "Learning About Alcohol Use Problems and Dependency in Teens".